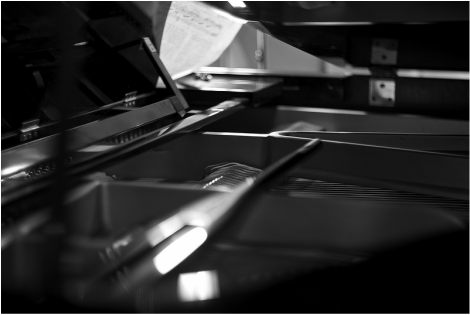 Piano repair involves the repair or replacement of existing parts in order to maintain the pianos original condition. Major repairs involve the replacement of a pinblock, shimming and refinishing a soundboard, or restoring an entire action by installing new hammers, springs, felts, and other parts. Minor repairs can usually be completed on-site and include replacing a broken string, keytop, or regluing an action part.